Writing an apology letter to your girlfriend can be hard. You stare at a blank screen or piece of paper not knowing how to start. Get tips and guidelines, and get inspired by the letters below. They're written by others who found themselves needing to make amends to the girlfriends in their lives. Saying sorry to your girlfriend is never easy because there's so much at stake. Which makes writing a sincere apology letter for hurting her much more difficult. Whether you've been a jerk, were caught lying to her, cheating on her, had a fight or have trust issues, you need to acknowledge the damage done and take full responsibility. When passion is involved, feelings of regret and remorse reach a whole new level. 1. 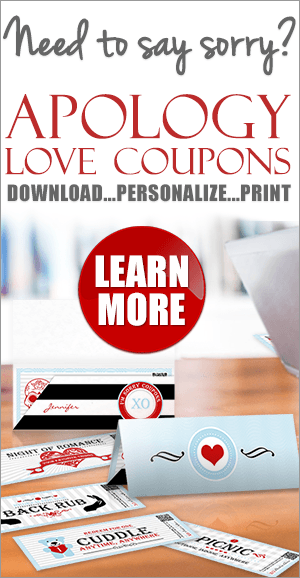 Start your letter by acknowledging her hurt and validating her feelings. 2. Tell her how sorry you are and how much you want to fix things. 3. Be honest. Let her know how important she is to you. 4. Take full responsibility and ask her for forgiveness. 5. Promise and prove to her that it won't happen again. Read how sorry the authors are for hurting their girlfriends. Or, post your own online apology letter. Emotions: A Play Off of M.J.
As you can see in the sample letters above, when love is involved, writing how sorry you are will inevitably include the passion and devotion of a love letter. The trick is in not letting your emotions weaken your apology or make it less effective. Need some help? Learn what needs to be included in a heartfelt apology. 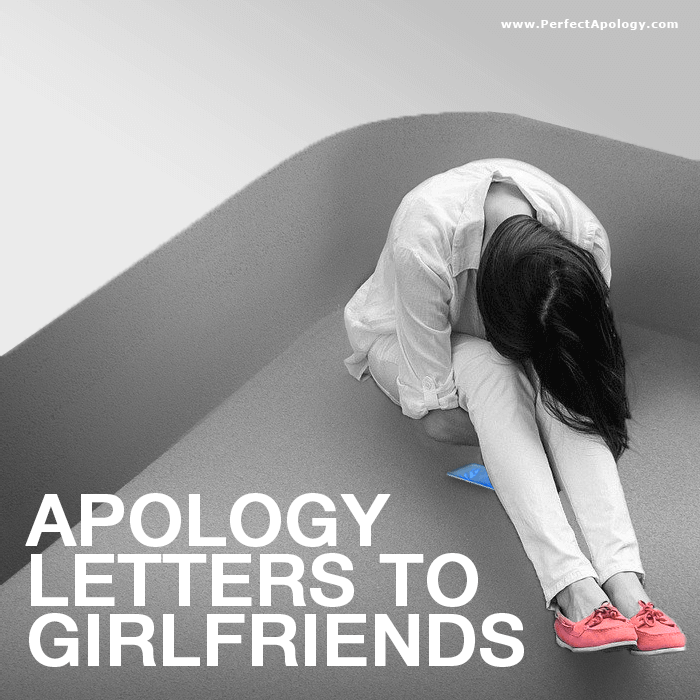 While some of our readers find inspiration in gifts and ideas found on our romantic apologies page, others simply choose to write a sincere apology letter to their girlfriends. Learn more about creative ways to say sorry and apologize.